During this past week I participated in the #ayearathon by attempting to read the group book choice of this month's read-a-thon, The Book Thief by Marcus Zusak. It is 1939. Nazi Germany. The country is holding its breath. Death has never been busier, and will be busier still. By her brother's graveside, Liesel's life is changed when she picks up a single object, partially hidden in the snow. It is The Gravedigger's Handbook, left behind there by accident, and it is her first act of book thievery. So begins a love affair with books and words, as Liesel, with the help of her accordian-playing foster father, learns to read. Soon she is stealing books from Nazi book-burnings, the mayor's wife's library, wherever there are books to be found. But these are dangerous times. When Liesel's foster family hides a Jewish fist-fighter in their basement, Liesel's world is both opened up, and closed down. It took me a little while to get used to the narrator being Death, and remembering that as the story progressed (as there are times when the story seems to not have a narrator at all before "he" appears again). Also I didn't care for the times when Death was too impatient to let the story progress before the reader finds out a character's ultimate fate and instead tells you seeming out of the blue sometimes years ahead of the natural story progression. I also realized that this is the first book I remember reading from the perspective of the Germans that sheltered Jews during WWII instead of the perspective of those being sheltered. Which was a nice change. During the RAT I wasn't able to complete this book. I did however read 366 of 550 pages this week. I hope to be able to finish this book soon as I was enjoying it very much (despite Death at times) and am now even more eager to watch the movie as I have heard from several sources that it is well worth seeing. Wow it has been awhile. Sorry about that. Hope everyone had a great holiday season and new year! Last year my main Goodreads reading challenge goal was to read 80 books. However other hobbies like knitting and binge watching tv series (that's a hobby right?) took away from my reading time in the later half of the year. This lead me to only reading 59 books for the year. That in mind my 2015 goal is set for 65 books. I am also attempting again to complete the Alphabet challenge where you read 26 books, one for each letter of the alphabet (based on the first letter in their title). I have attempted this for the past three years and have yet to complete it. The most I've gotten to is 20 (in 2012 and 2013) books and the least is 17 (in 2014). I am hopeful for 2015. #ayearathon year 2! 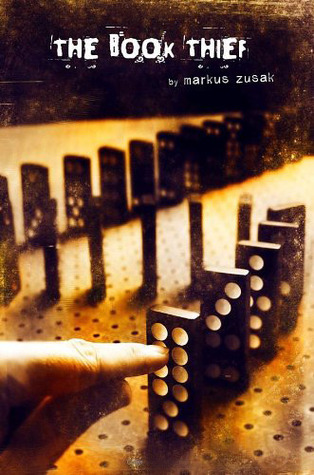 This month's theme is Standalones and their group read book is The Book Thief by Marcus Zusak. I started this read-a-thon reading The Book Thief and as of half way through the last day of the RAT I'm at 243/550 (44%). This is based on reading and finishing The Darkest Powers Bonus Pack 1 by Kelley Armstrong (not a standalone) for one day, not reading anything for a couple days and reading The Book Thief for the other 4 days (and working 9.5-10hr days). On my TBR for this read-a-thon was also Still Alice by Lisa Genova but at this point I don't think I'll get to it, though it's still on the list for reading soon (ideally before the movie comes out). The theme is graphic novels and each day has a different mini challenge to complete. My plan is to get through some of my manga/graphic novels I planned to read for Dec 2014's #ayearathon and didn't get to. TBR to follow? Hopefully this will be a good way to start off the year and boost up my overall book count. #underhypedreads - theme: read as many underhyped books (under 5000 ratings of GR) as you can in the week. TBR to follow. I am thinking I'll read a mixture of local authors and Doctor Who in order to get through more of the unread books on my shelves. Otherwise this year I plan to read more of the books I own, borrow less from the library, and buy less from stores.